This year, U.S. auto industry sales are projected to rise from 15.5 million units to 16.4 million vehicles. If realized, that total will represent the highest level for car sales since 2006. So is your operation prepared to achieve record sales? To be sure, you need answer these two questions honestly: Have you embraced strong website fundamentals and progressive digital advertising in a way that will generate more profitable customer relationships and sales? Or are you managing your digital presence the same way you did in 2006? The mistake I see dealers frequently make is complicating their advertisements by doing things like using industry jargon. Another common error that confuses consumers is trying to combine too many messages into one. While complex messaging and images may sound intelligent and look appealing, you only have three seconds — at most — to grab someone’s attention, so you have to make them count. 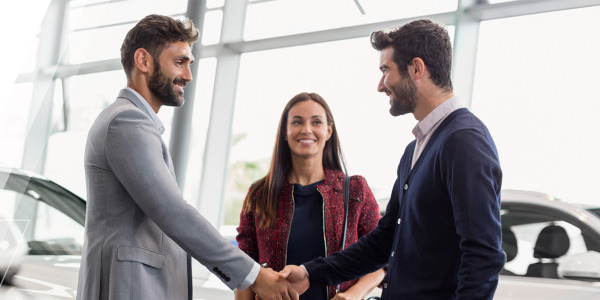 A simple message that aligns across all marketing channels eliminates confusion and increases the transparency and credibility of your dealership. In our highly competitive industry, messaging across all mediums (website, traditional and digital advertising channels) must be singularly focused on what makes your dealership different from the one down the street. Do you provide a warranty that local competitors don’t? Or do the vehicles you sell include a sought-after maintenance plan? 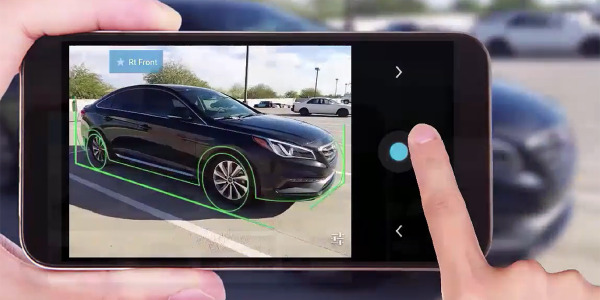 In today’s hyper-connected world, customers research cars on multiple devices and websites. So it’s critical that dealers reach these shoppers through all channels. It’s also important that your message is concise and is replicated on every channel — paid search, digital display, TV — and updated in a timely manner. Visitors of Prestige Volvo’s website don’t have to look hard to find special offers, service coupons and new model introductions. The dealership’s phone number and address also appear prominently on the home page. 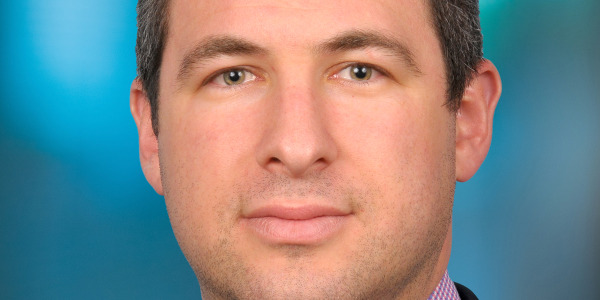 Matt Haiken is the general manager at Prestige Volvo, a dealership located in East Hanover, N.J. 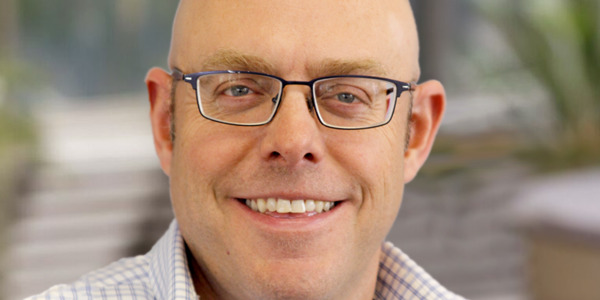 He is tenacious about aligning messaging around customer service and loyalty. 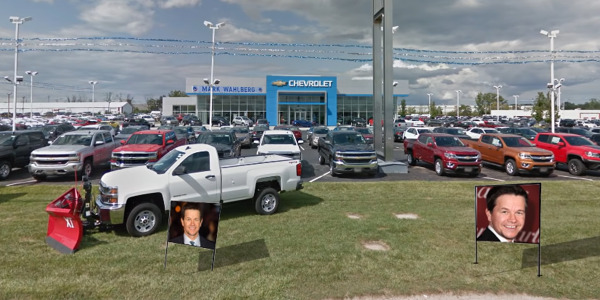 The dealership uses its website as a launch pad for a fully integrated digital marketing program, one that leverages social media channels and online advertising to drive traffic. 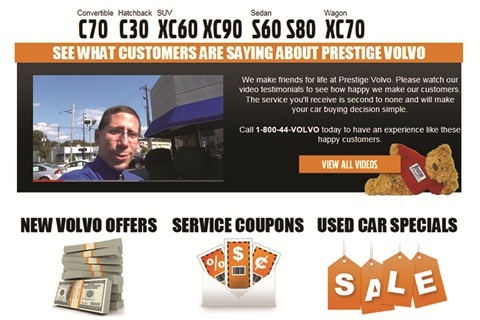 Prestige Volvo also sends customized videos to potential buyers that highlight vehicle specifications and provide detailed tours of the vehicles being showcased. 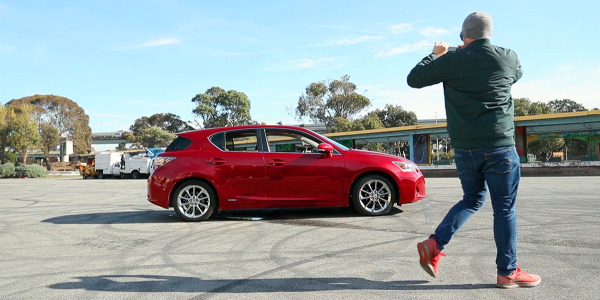 The personalized videos further the dealership’s core message of 100% customer satisfaction. 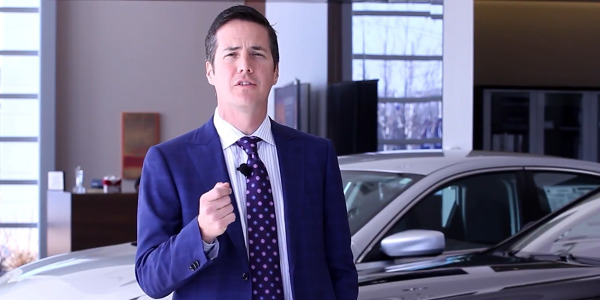 As a result of this increased transparency and its integrated digital marketing efforts, the dealership has experienced a 30% increase in sales. See, what Prestige and other progressive dealerships understand is the importance of customer loyalty. 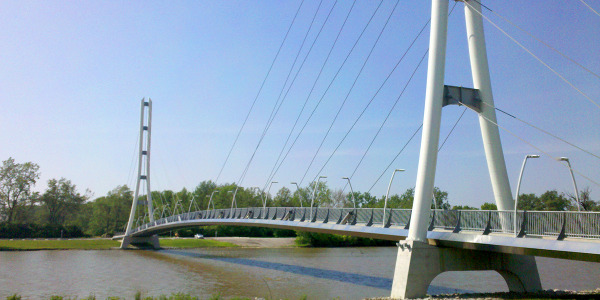 They also understand the importance of utilizing advertising technology to automate their loyalty-driving process. It’s happened to all of us. Whether we were unable able to find what we were looking for, ended up where we started after being directed from one webpage to another, or clicked on a promotional link that was no longer valid, we’ve all had frustrating experiences navigating websites. As the digital age’s equivalent of customer service, a user-friendly website should make it as easy as possible for the buyer to get from the search engine to submitting a lead. Remember, the less time users spend navigating your site, the more time they will spend in your showroom. Creating a seamless customer experience means focusing on making your inventory and services easily accessible for customers. In other words, your website needs to deliver relevant content with the fewest clicks possible, and that needs to happen across all channels and devices. Customers should be able to instantly identify where they need to click to get the information they’re seeking, and they should be able to get from searching for a car on a vehicle detail page (VDP) to submitting a lead quickly and easily. You also need to optimize that online experience for mobile devices. A 2012 Google study revealed that 61% of consumers will take their business elsewhere if they are disappointed by a retailer’s mobile website experience. And according to a report issued last June by IBM Tealeaf and research firm Econsultancy, 45% of business sites reviewed by the two companies were not mobile friendly. So, to ensure your website translates to mobile, try navigating it using a smartphone and tablet. When you click on a link, are you redirected to a mobile-optimized version of that page? Are you sent to the page you were looking for? If the answer is “No” to both questions, your store is not only losing leads, it’s losing sales as well. Given the endless digital marketing options available, deciding how to distribute your advertising budget can seem like a daunting task. When asked how much an operation should spend on digital vs. traditional mediums, our recommendation is that 50 percent of the dealer’s budget should be directed online. How much you spend online, though, needs to be balanced by a clear understanding of what you’re buying. With paid search and display advertising, it’s easy to get lost in “statistical neverland” and focus on what may seem like impressive terms and metrics. What’s really important is how many people are seeing your advertisements, how much it’s driving foot traffic to your dealership, and, ultimately, the effect your efforts are having on your bottom line. “Meet Matthew Haiken our GM” is one of the selections under the “About” tab in the main navigation bar of Prestige Volvo’s website. 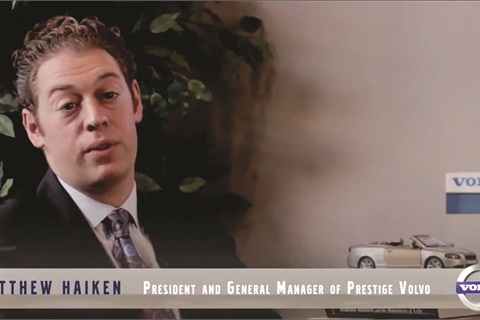 Customers who click in will find a video interview with Haiken, who provides a brief history on the dealership. He also explains how his store works to turn the negative connotations associated with car buying upside down. I recently saw one of the largest dealer groups in the country being pressured by its search provider to buy into “clicks per zip code” and “earned lead per zip code” metrics. The problem with breaking down leads by district is it doesn’t always provide tangible, useful information. Remember that a click is not synonymous with a customer interaction. To avoid getting caught up in statistics that are a waste of time and money, concentrate on the data points that give you information about customer interactions, including the number of people who saw your advertisements; insights on the channels driving online traffic; the number of meetings scheduled with salespeople as a result of your digital marketing efforts; the number of leads you’re getting; and, most importantly, the number of leads that were converted into sales. 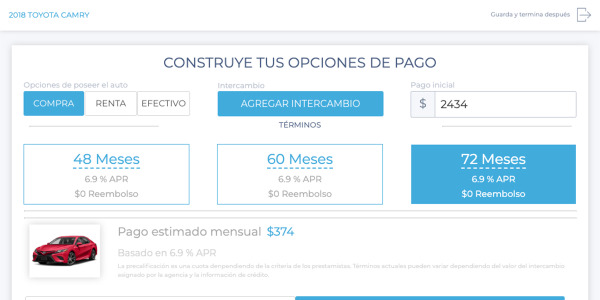 When contemplating how to spend your advertising budget, ask your provider to clarify how many customer interactions you can expect if you invest in whatever advertising technique it’s pitching. And be sure to ask your provider to specify the quality of those interactions. If the provider doesn’t have a straightforward answer, that’s your cue to move on. With the ever-changing media landscape, staying up to date on the latest digital marketing tools and trends is essential, but not at the cost of abandoning marketing tactics that are proven to boost ROI and improve customer relationships. So stick with the three basics covered in this article. 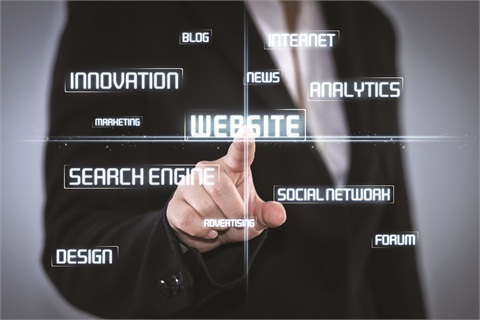 Doing so will make it easier for you to enhance your campaign with the latest technologies. So, how do you ensure you’re making an intelligent digital investment? Well, you first need to make sure you’re focused on driving shoppers to the VDPs containing the most relevant purchase information. And make sure to include multiple opportunities to engage and start a conversation (e.g., phone number, form submission options and options to save a car for future reference). This can be achieved by hyper-targeting the right shoppers with the most intelligent paid search, display, social media and retargeted advertisements. 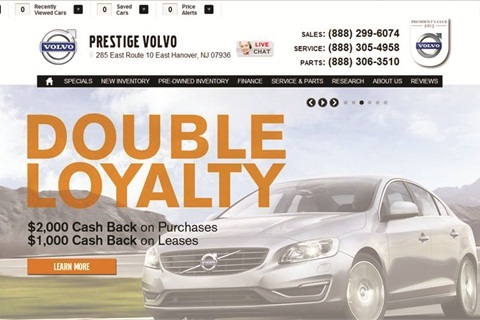 Hanover, N.J.-based Prestige Volvo centers its marketing message on customer service and loyalty. One of the techniques it employs is posting video testimonials on its website’s homepage like the one pictured here. For example, let’s say two different shoppers visit your website to research a car purchase. Buyer A clicks on the link to visit your site and immediately clicks the back button. Total visit time was one second. Buyer B visits three specific VDPs and also navigates to your directions page before leaving. Total visit time was five minutes, 37 seconds. The question now becomes: Is your display advertising solution smart enough to bid aggressively for Buyer B’s attention, while also dialing back the bid for Buyer A? What we just described is an example of “Machine Learning,” a process of learning the specific actions taken by individual shoppers in your designated market area and using that information to serve up the most relevant advertisement in real time and at the most appropriate bid. So, as we move further into 2014, make sure you are making the most intelligent use of your available advertising dollars to target in-market shoppers with the best advertisement at the moment it will make an impact. And be sure to deliver a seamless experience with a concise message that compels them to do business with you.